Occasional essays or interesting information by Chris Bidlack, related (mostly) to the Jet Age and the Golden Era of commercial Aviation. 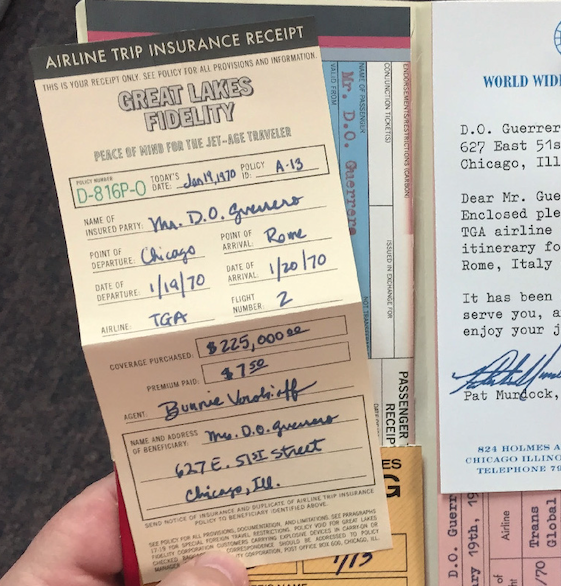 In the real world, airline pilots in the late 1950s and early 1960s were vocally opposed to flight insurance machines and kiosks at airports. 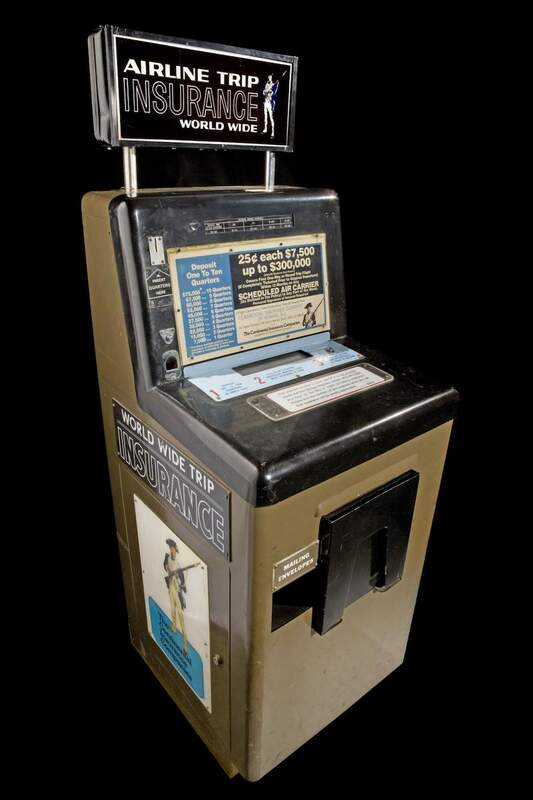 After a bomber killed 44 people on United Air Lines Flight 629 in 1955, Colorado banned airport insurance vending machines, but other than that one legislative action, there would be no further outlawing of the practice in the United States. Over the years, flight insurance kiosks and machines at airports mostly just faded away, as travelers grew accustomed to air safety, and insurance from other sources reduced the need and sales of flight insurance at airports.